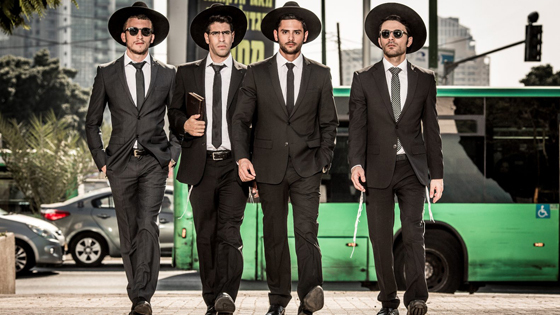 Orthodox yeshivas may appear to be for serious scholarship and strict rule following. 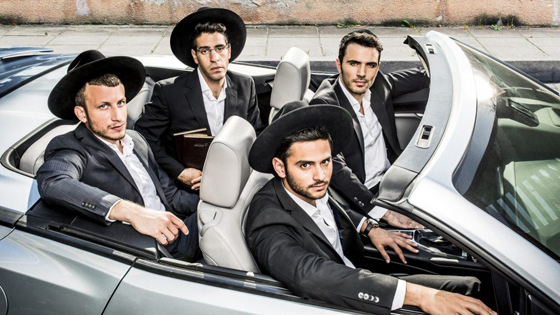 But in this Israeli hit TV series, Avinoam, Meir, and Dov are “shababnikim” —the Israeli slang for the ultra-Orthodox young men who test their community’s limits— and they are going do whatever they want, whenever they want, and simply hope that nobody is paying attention. Unfortunately, for studious and rigid Gedalya, these guys are his new roommates. And, whether he likes it or not, he is along with them for the ride. Already hooked? We will be bring Episodes 4-12 to Boston this winter! Introduced by Shayna Weiss, Associate Director of the Schusterman Center for Israel Studies at Brandeis University. This program is part of our TLV TV Binge Day. Purchasing an "All Day TV Binge" ticket for $40 will give you access to see Shababnikim, Your Honor, and Sleeping Bears.